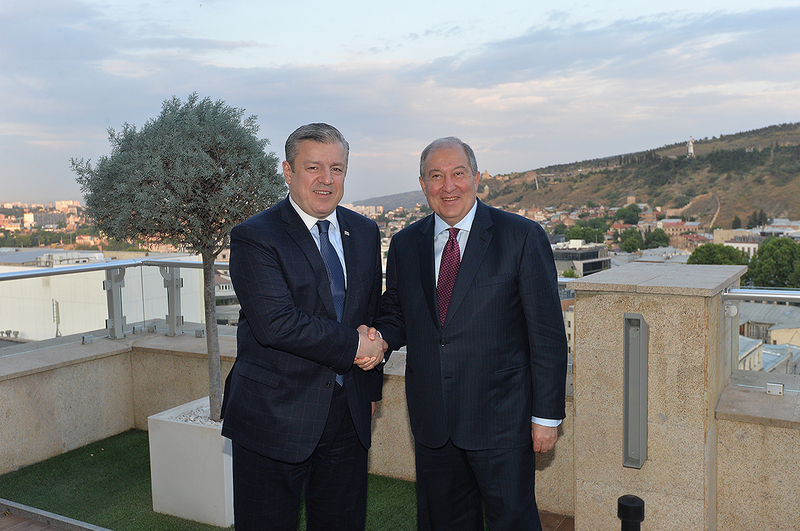 President Armen Sarkissian, who has arrived to Tbilisi on a working visit, today had a tete-a-tete meeting with the Prime Minister of Georgia Georgi Kvirikashvili. Later, delegations met in the extended format. 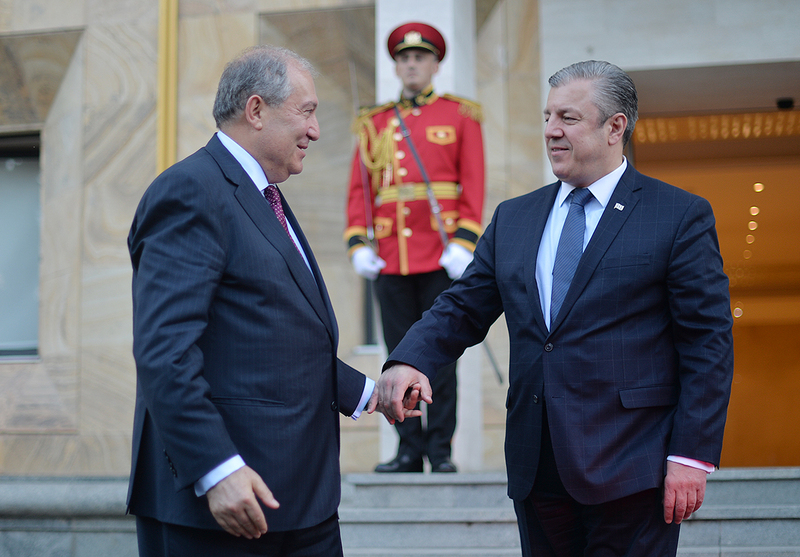 President Sarkissian expressed gratitude for the invitation to attend events dedicated to the 100th anniversary of the restoration of the Georgian Statehood and the warm welcome. 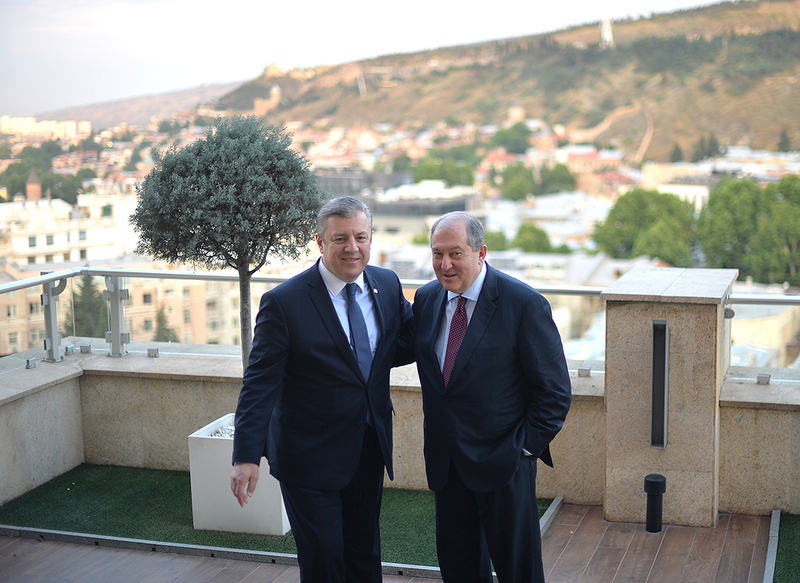 He also said that on May 28, Armenia will be celebrating the centennial of the First Republic. 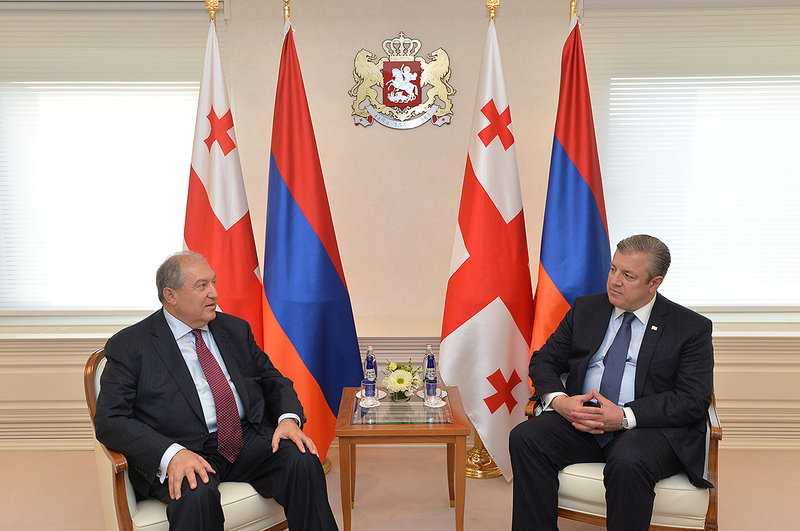 The President of Armenia and Prime Minister of Georgia noted with satisfaction that the relations between the two brotherly states which are developing dynamically and are strengthening by year. He added that we are proud of the common history throughout which we have learned from each other and today are happy for each other’s success. During the warm and cordial conversation, the parties stressed the importance of a continuous development and deepening of the relations in the atmosphere of mutual trust, as well as the need to fully utilize the existing potential. 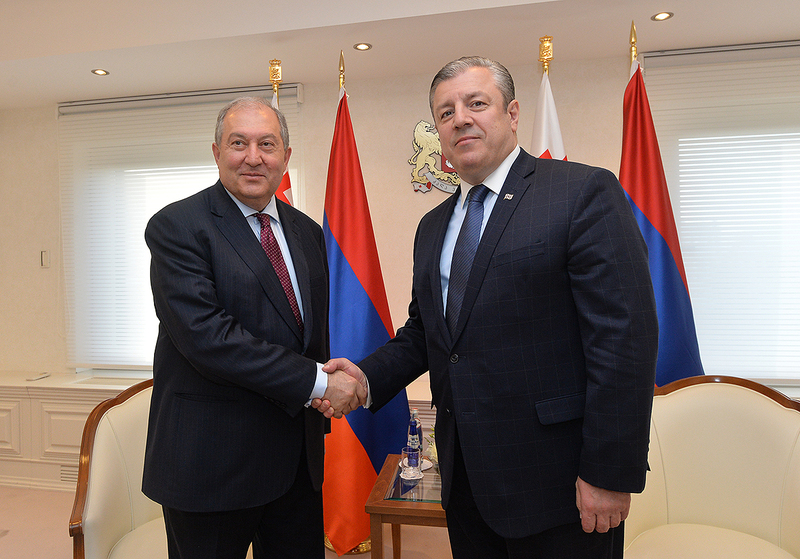 According to President Sarkissian and Prime Minister Kvirikashvili, high-level Armenian-Georgian contacts create good prerequisites for identifying new areas of cooperation. They stressed particularly the importance of cooperation in the areas of tourism, energy, IT, and a number of other areas. 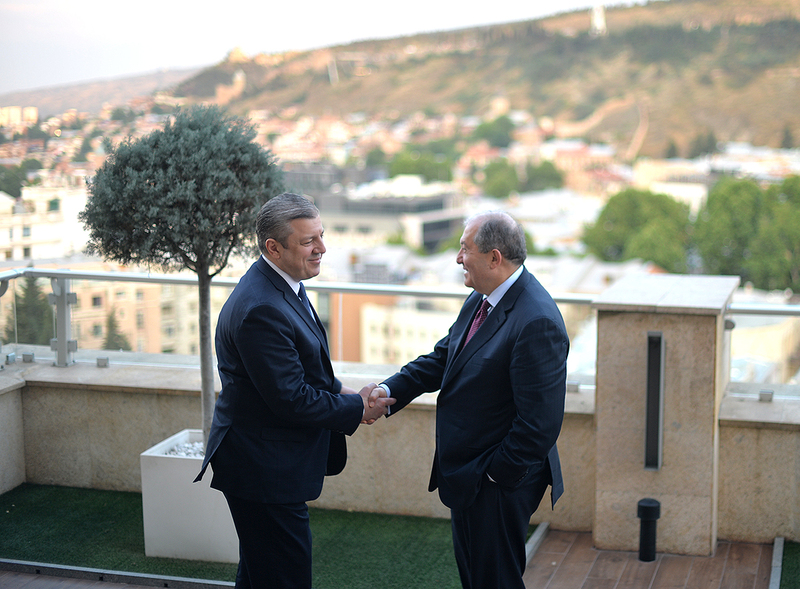 At the meeting discussed were also changed that recently have taken place in Armenia. 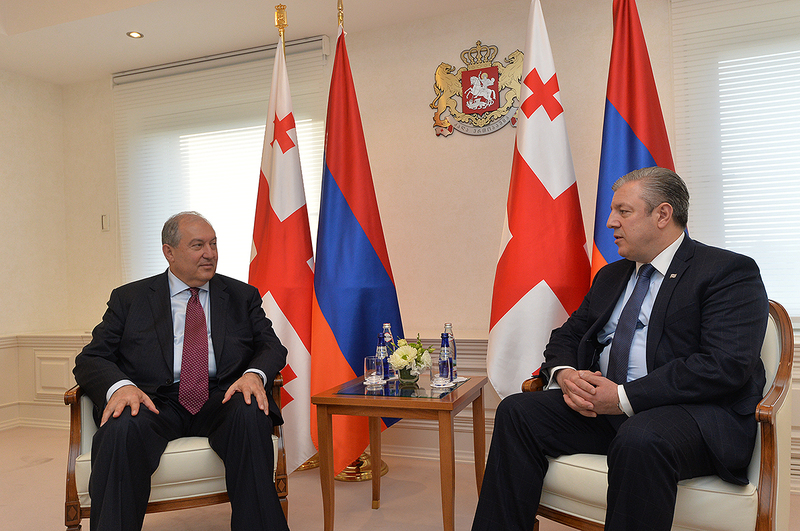 Noting with satisfaction the civilized and peaceful resolution of the situation, the Prime Minister of Georgia highlighted the role and efforts of President Sarkissian in the process and noted that Georgia is interested in stability at the neighboring country. President Sarkissian in his turn noted that all joint programs will not only be implemented but will be augmented with new ones. “We are interested in using to its utmost potential existing in different areas of our relations,” the President of Armenia underscored.